Join the LAX Coastal Education Foundation in partnership with Loyola Marymount University as we support education in our community. This fun 5K walk/run and 1K kids' run will take place on the beautiful campus of Loyola Marymount University. The proceeds from the race will benefit participating schools. The more participants you have sign-up, the more money your schools will raise! Can't join us on race day? Sign up as a virtual runner! Participants are encouraged to show their school pride! This is a FUN RUN aimed at bringing all the community together to support education. Costumes (especially rock and roll themed) are strongly encouraged. Rain or shine, NO REFUNDS! If driving, please arrive at LMU by 7:30 am due to street closures for the race. After 7:45 am, you will be unable to park at LMU Drollinger lot. Alternative parking will be located at University Hall P2/P3 (will take 10-15 min. to walk up hill to event). Packet pick up will be held from 3-7 pm on Wednesday, March 6 and Thursday, March 7 at the LAX Coastal Chamber of Commerce (9100 S. Sepulveda Blvd., Ste. 208, Los Angeles, CA 90045). 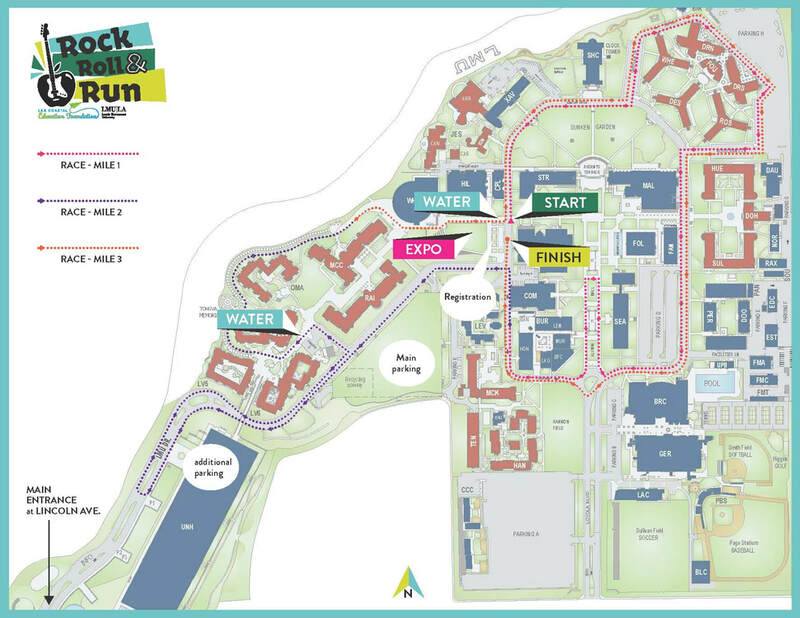 Bibs/Packets will also be available the day of the race, at the race info booth on campus from 7:15 am until the start of your race.